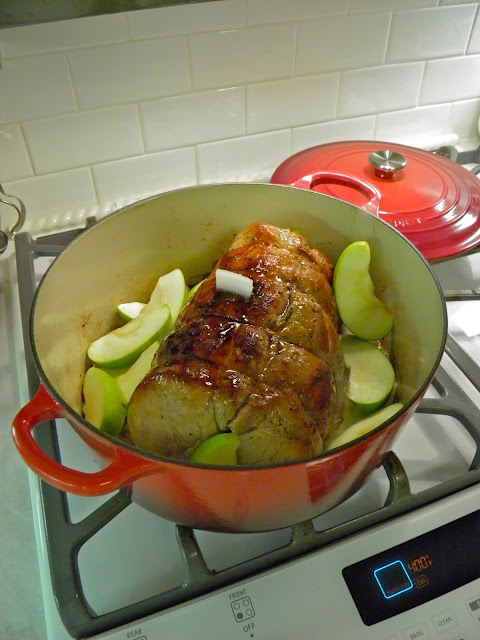 From Captain's Daughter to Army Mom: Le Creuset Pork Roast! someone had his way, I would be using my Dutch ovens every day! not miss butter for a second... But I have missed baking/cooking in my kitchen! cooked a proper dinner. Using one of my beautiful Le Creuset Dutch ovens, of course! the filet mignon on my promise that I would prepare him my own pork dish! one or eight, like me, then you know why this is the absolutely best way to cook! like me and don't drink alcohol, these little bottles are just the right size for cooking! Then I placed the roast back into the pan and let the liquid come to a big boil! Until it was perfectly... Perfect! When he came in for a nibble, he said it was well worth the wait! 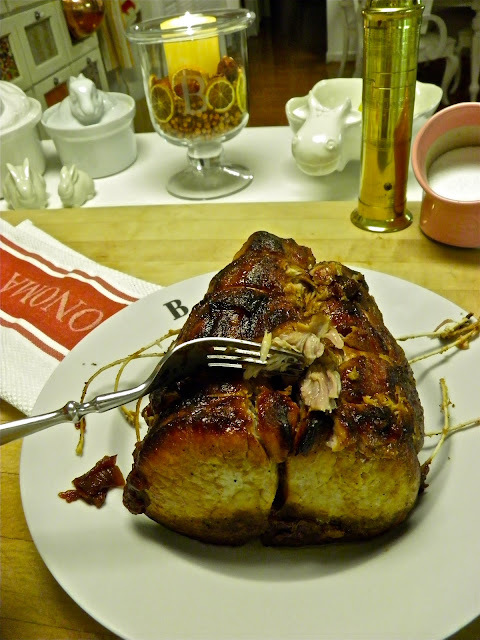 If you like to slice your pork roast with a fork, this is how you do it! Speaking of how you do it... You must try this, Spoon Bread Casserole! 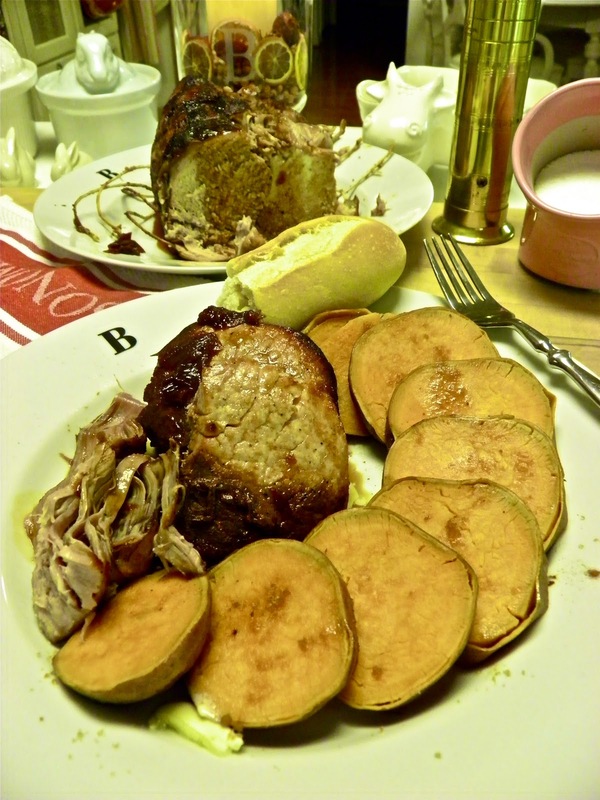 brown sugar and cinnamon completed my promised pork roast dinner! Remember! Le Creuset Dutch Ovens... For the way they cook! I totally agree with you.....The Le Creuset Dutch Ovens are the best... I bought myself two, after reading your blog!! 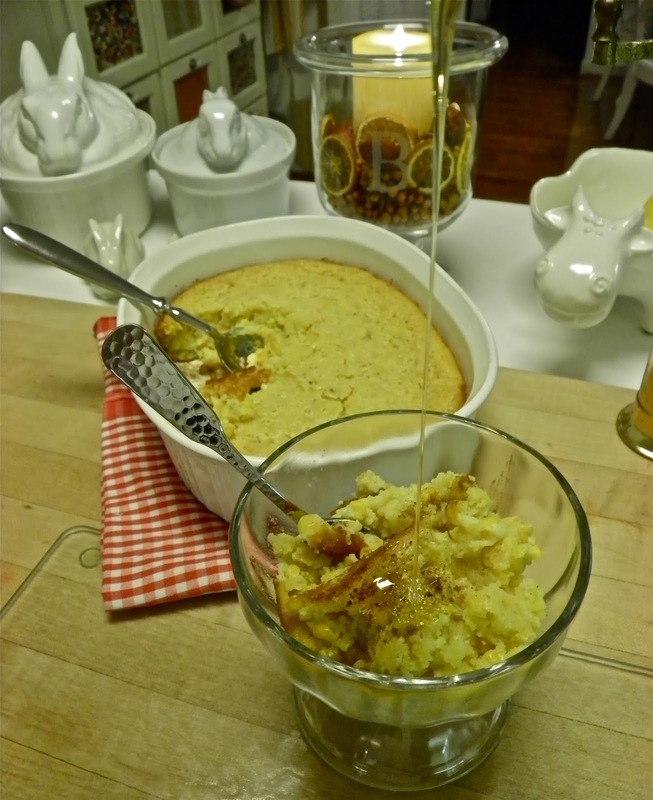 My husband was not very convinced at first, but after trying the food made with them, he convinces his friends, and mine, that there is nothing like it!!! He wants me to cook everything in them.... even his chili con carne!!! Oh my goodness, my mouth is watering so much right now! And it's 10am on a Tuesday morning! Your dinner looks amaaazing!! Ok, that looks like something I could actually cook! I have a dutch oven and honestly don't know how to use it. This is the next meal to be cooked in it! Thank you for the post! I also have to say, Le Creuset is a fabulous product. I love my sweet little 3 quart cast iron tomato pot... and my stoneware pieces. The tomato pot keeps things so warm afterward. I also love your kitchen. Chris and I are trying to decide what to get. I love the look of wood, but I'm kind of tired of brown. We're sampling something called Champagne glazed maple. It's pretty light and the grain peeks through the glaze. What kind of counter top do you have? Oh please pass some of that dinner over here ~ The photos are so good, I can almost smell it! OMG, thank you , thank you, thank you for posting that. Now I know what to make for Sunday dinner. You are such an inspiration! Been Checking in on ya.I Miss your yummy & fun posts. Hope all is well. 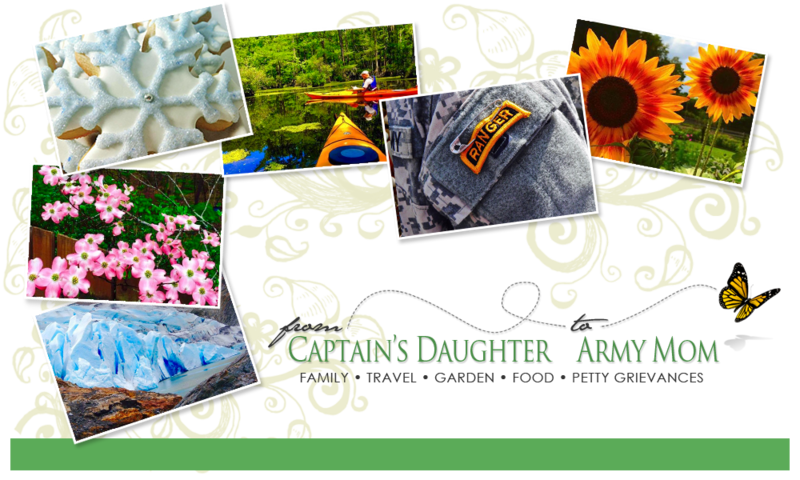 Hope to see a new blog soon!! Looks delicious! 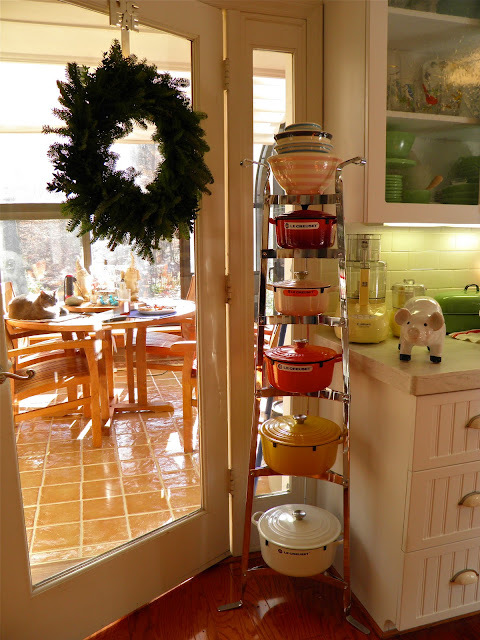 I would love to know where you found the storage rack for your Le Creuset. 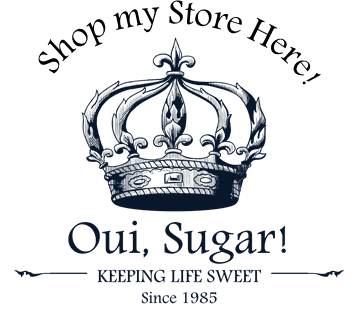 Overstock has several options to choose from. The link I provided is to the model I have; however, if you perform a basic search for "cookware stand" you will find others. Superb recipe, thank you so much from this aussie household, have just actually finished eating and couldn't wait to let you know - simply SUPERB. Came across your blog a couple of weeks ago while searching for le creuset recipes. I enjoyed looking around, great work - you're an inspiration! And as someone else said earlier, great kitchen! 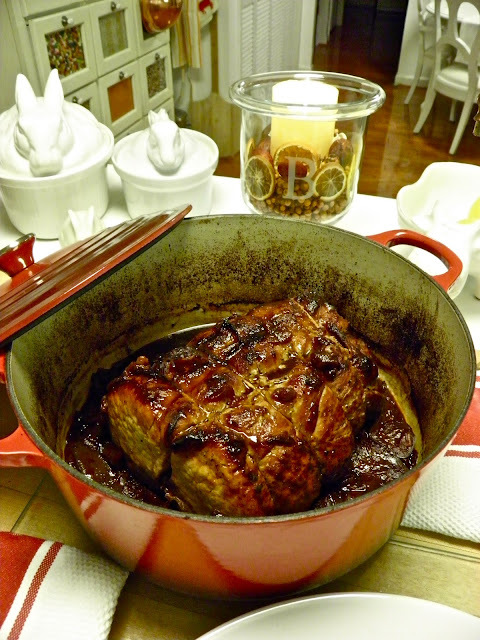 Just a note on my pork - it was cooked at 150 degrees C for 3.5 hrs, then rested for 30 mins. Purchased my first LC just over a month ago and hubby and I just love all the food we've cooked in it. Loosely followed this recipe for a side I cut off a larger pork shoulder and it came out amazing. 2 qt le creuset, prosecco instead of wine and no soy. I want to make this dish, but I'm all about the size and how much of everything. 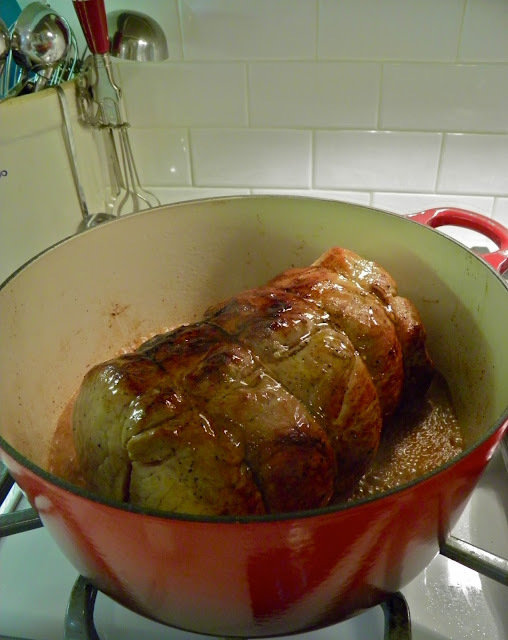 What size was the pork roast and how much of the honey/ soy mix did you use? One more question. How much wine to deglaze.... 8 oz? I love the dutch oven. Love your Le Creuset. I'm trying to decide on the best size to buy. Trying to decide between the 7 or 9 quart. What have you used the most?